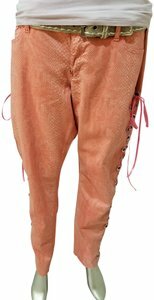 This is a brand new pair of pants that has been deconstructed and laced up into a one of a kind, grommet and ribbon fashion. 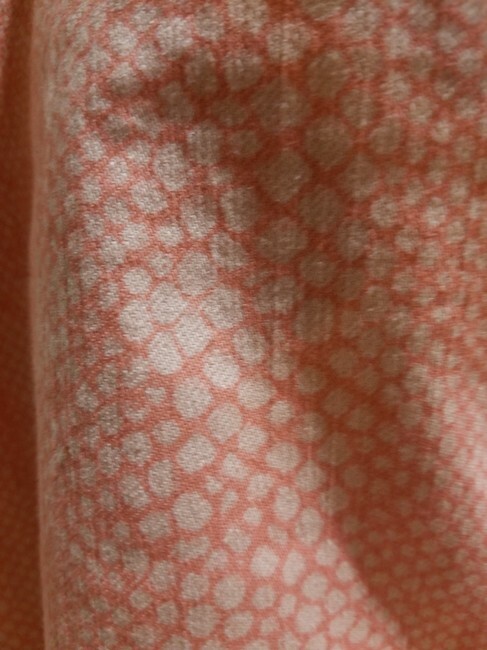 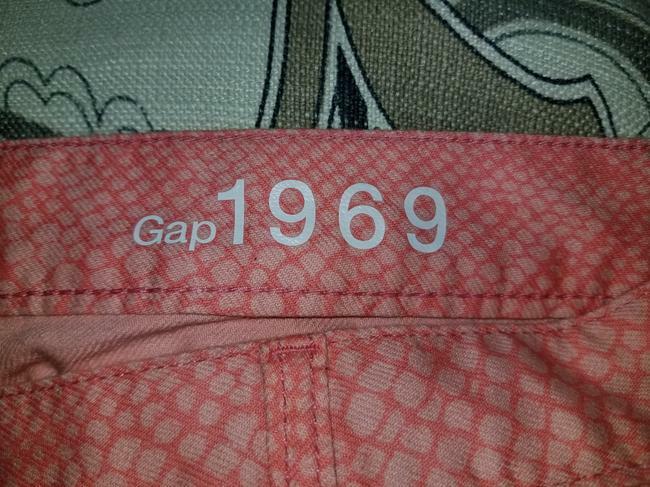 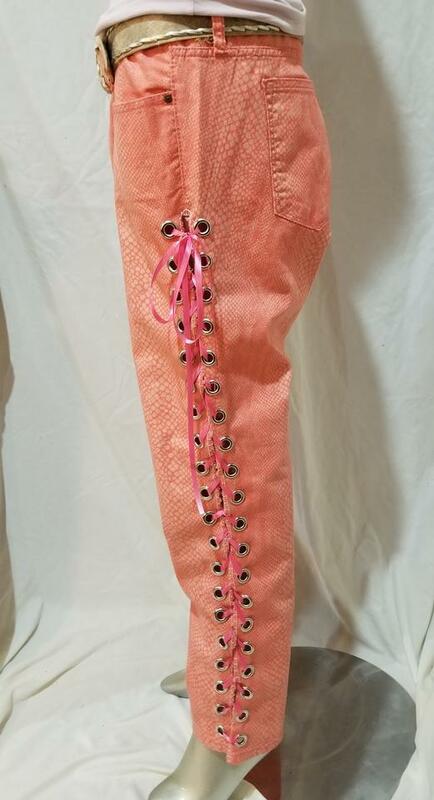 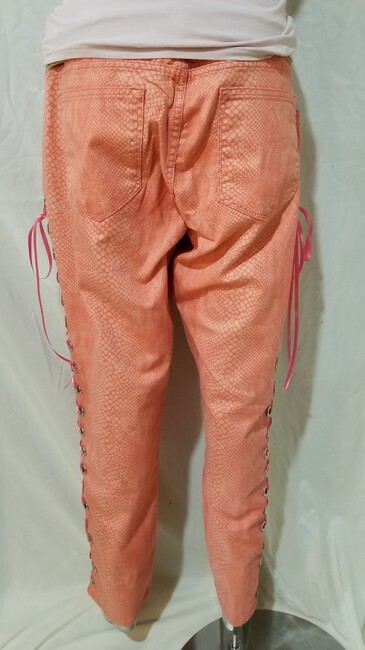 This is a skinny leg piece with a snake skin print and is laced up the sides with pink ribbon. 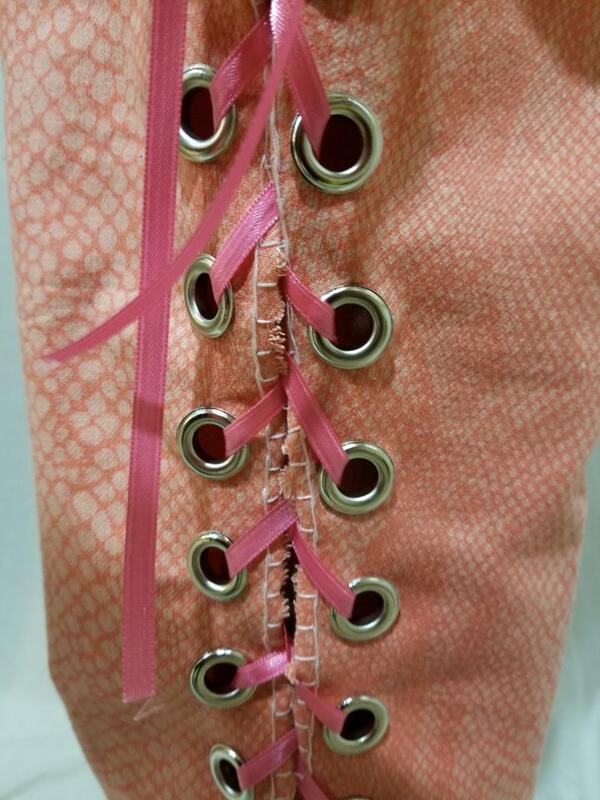 Care Instructions: Remove ribbon and wash on a handwash cycle, preferably with fabric softener, and hang dry. Item comes prewashed in All Free and Clear detergent and All Free and Clear fabric softener and ready to wear.